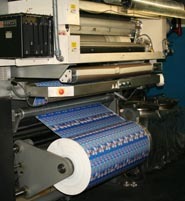 Relief Printing Systems that use a flexible rubber covered cylinder to set material on a higher level for the printing process. 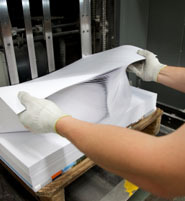 The ink is poured on a plate that pressures the printable substrate, coloring the pressed surfaces. 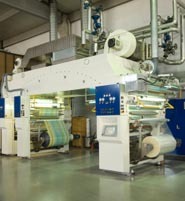 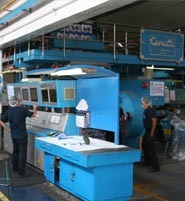 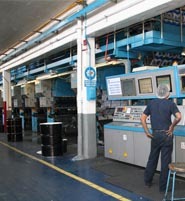 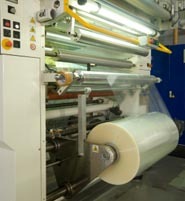 Both facilities of Galas de México (Centro and Aeropuerto), have high technology flexography printing equipment . 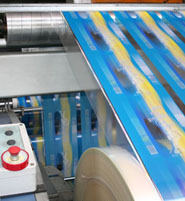 Printing Systems on laid relief where images are transferred to the substrate from a cylinder where the design has already been recorded for the printing process, the engraving process make cavities that contain ink. 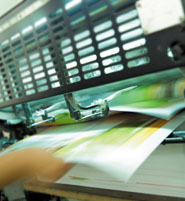 This process is advisable for higher quality printing and constant reprinting of large numbers of copies that need excellent color and brightness. 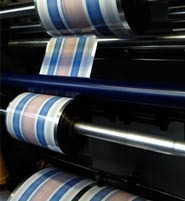 Offset is a printing system that uses plates of flat surfaces leveled with the area to be printe. 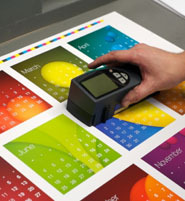 This method uses oil and water-based ink; the image in the plate gets inked and the rest repels oil and absorbs water. 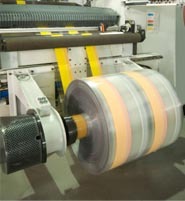 The inked image is transferred to another cylinder called mantilla, the image is then finally transferred to the substrate. 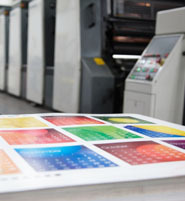 Galas de Mexico has an advanced printing System with the capability of printing on 6 different colors plus varnish and 10 colors rear and front.